According to Pinterest's 2018 Wedding Trends Report, moissanite is one of the hottest wedding trends. In fact, searches for moissanite gems are up 294% on the social media site! In short - moissanite is a beautiful, brilliant stone, that costs much less than any diamond & will allow you to get a larger carat weight stone & not settle for less. Plus, a moissanite will hold up to everyday wear and best of all a moissanite stone is so similar to a diamond that even professionals have a hard time telling the difference. Side stone weight on ringApprox. 0.40 ct. wt. 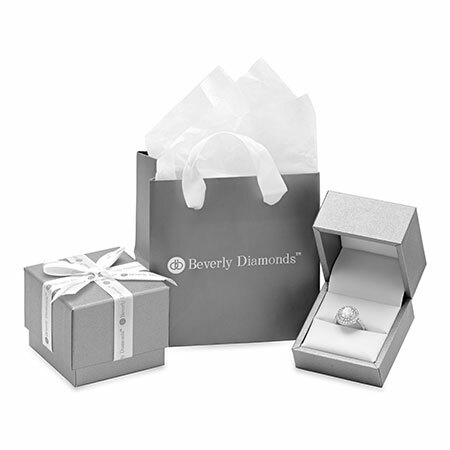 Thank you for choosing Beverly Moissanites. We appreciate your business and that is why we would love to offer you our premium warranty. 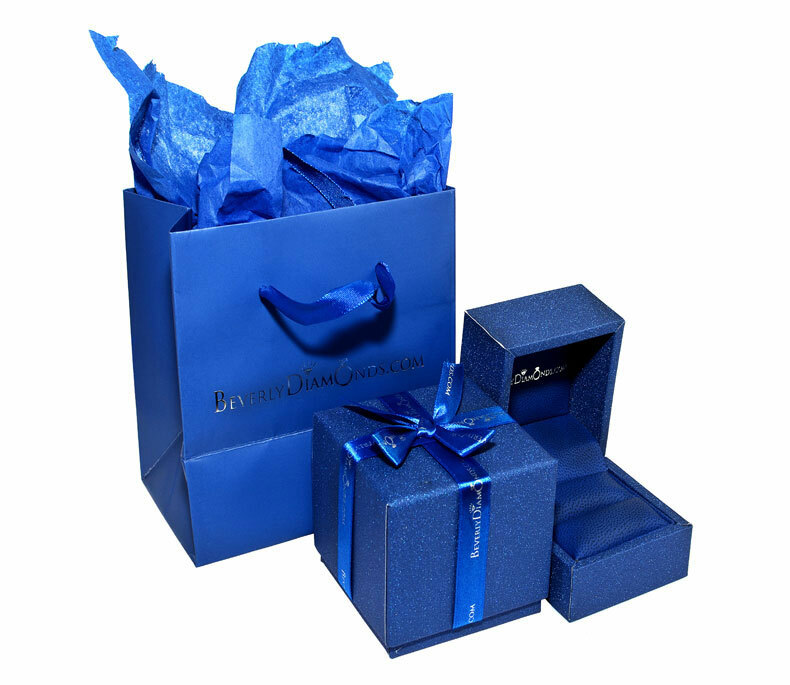 Complimentary jewelry cloth, easy to use & will help bring back to life the fire of your moissanite jewelry. Complimentary jewelry spray, Will assist greatly in removing dust/dirt from your moissanite jewelry & bringing that original brilliance to your moissanite jewelry. 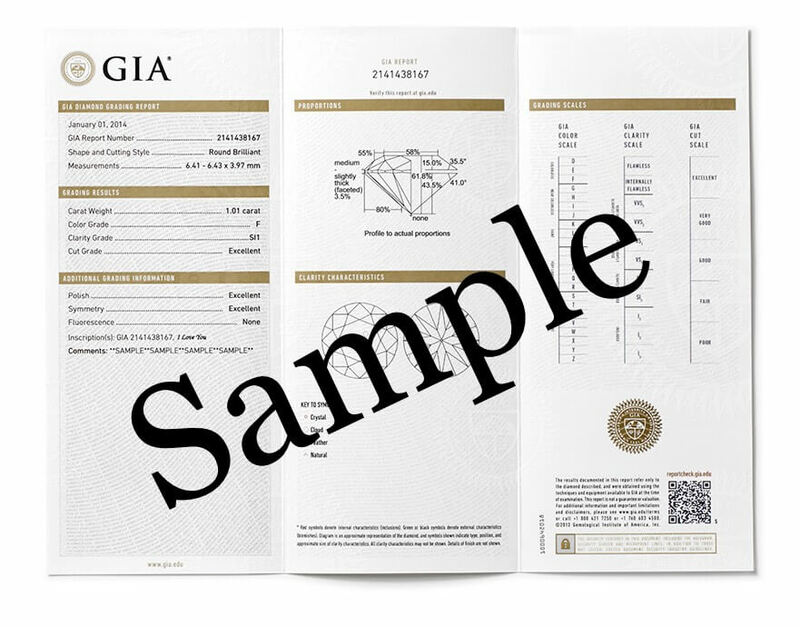 Now you will be able to upgrade your center moissanite to a higher color or clarity or even upgrade to a larger carat weight. Give us a call or email us & our moissanite specialist will assist you with high quality upgrade options along with our best prices.